Oh, hello there. Yes, I know it's been 6+ months since I last posted. What can I say? Things were hectic. There was a new job for Hubby that required the sale of our house, the purging and packing of said house, and an interstate move. It was long. It was drawn out. But we're all finally here in San Francisco and settling into our new environs quite nicely. Life is good again. After being away from blogging for so long, you'd think I'd come back with something a little more spectacular than a pizza dough. I know Jim Lahey's no-knead pizza dough has already been well covered. 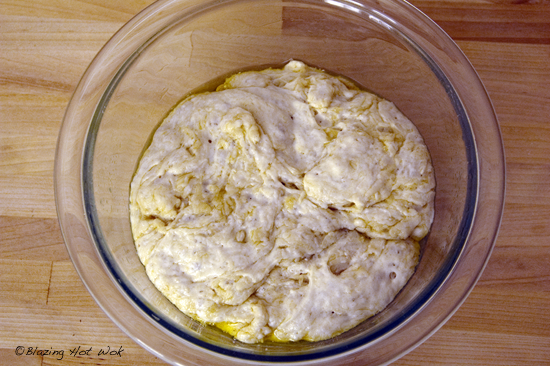 Interestingly, no-knead pizza dough has been around for years, even before Bittman's no-knead bread went viral in 2006. I'm talking about Rose Levy Beranbaum's pizza dough recipe included in her book The Bread Bible, which was printed in 2003. I don't remember it getting anywhere near the attention Lahey's dough recipe has gotten, but as far as I'm concerned, it should have. It's as easy as any other no-knead recipe out there, but unlike other no-knead breads, it doesn't have to be started a day ahead (although it tastes even better if you make it in advance). So, if on a Saturday afternoon, you decide on a whim to make pizza for dinner, you can. Pretty cool if you're not always on top of meal planning (guilty!). If you're thinking the short fermenting time will result in a crust that is short on taste, let me reassure you, this crust is delicious. 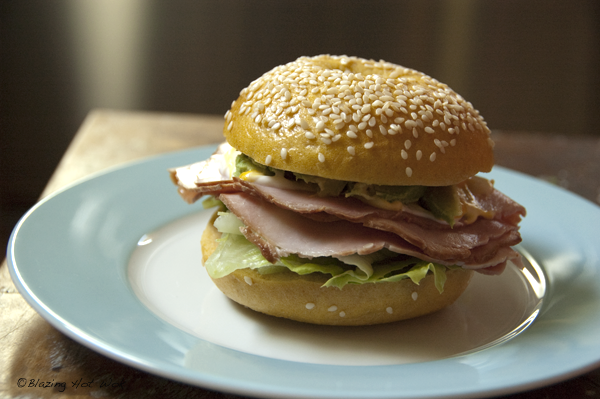 And it has the perfect texture⎯ crispy exterior with tender/airy interior. 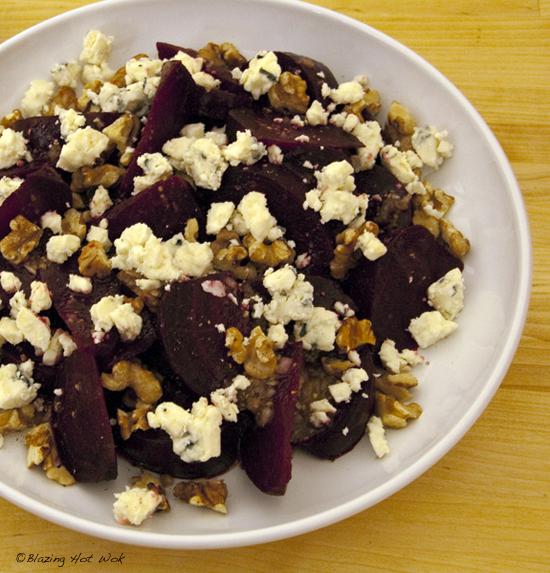 An exact copy of Beranbaum's recipe and instructions can be found here, on the Culinate website. I follow the recipe but deviate during the baking stage. Nothing monumentally different, just making it easier given what I have in my kitchen. It still works out magnificently, so do what works best for you. I've tried to document some of the process, just in case you think you may have gone astray somewhere. The dough is not pretty and when I made it for the first time, I kept asking myself if it would really work without the overnight rest period. Yes it did! For one 10-inch pizza (or two smaller personal sized pizzas) combine 4 oz unbleached all purpose flour with 1/2 tsp instant yeast and 1/2 tsp sugar. 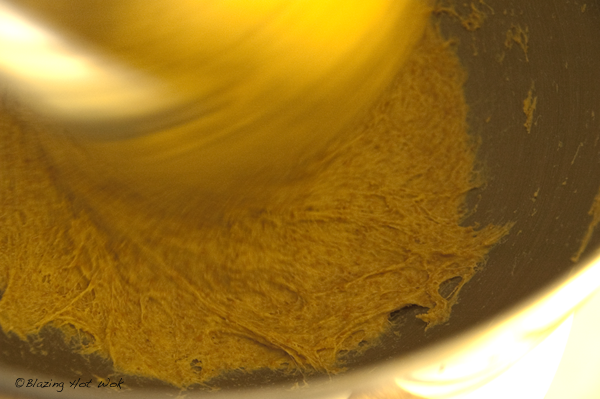 Whisk in 1/2 tsp salt (or 1 scant tsp kosher salt). Make a well in the flour and add 1/3 cup lukewarm distilled water. Stir with a large spoon to combine, but don't overmix (Beranbaum says this step shouldn't take more than 20 secs). All the flour might not get incorporated (see picture above), and that's okay. This recipe is easy to scale up if you need more dough. I usually make a double portion to get 4 personal sized pizzas. Oil your fingers and a clean bowl, then transfer the dough to the bowl. It will be shaggy, soft and clumpy looking. Coat the dough with a little oil. Cover it and let it sit until it doubles in size, about an hour to an hour and a half. If you aren't going to use the dough within the next couple of hours, then let it sit on the counter for about half an hour and then stick it in the fridge. Take it out about an hour before you plan to shape it. I often make the dough the night before and let it rise in the fridge. This gives it a more developed flavor. I've also used it straight away and it still tastes wonderful and has an excellent texture. 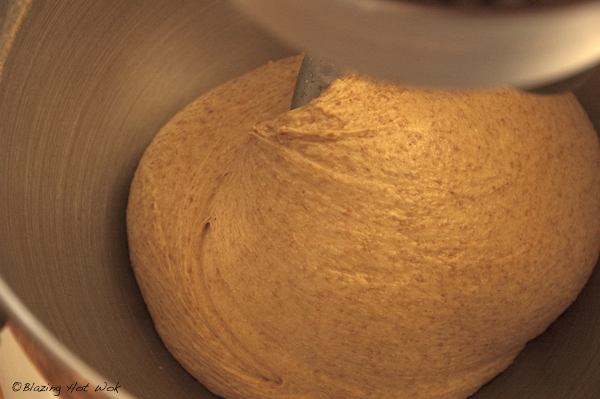 You can see what the dough looks like after it's doubled in size. Air bubbles have already started to form, letting you know the yeast are fermenting away. This took about 75 minutes. 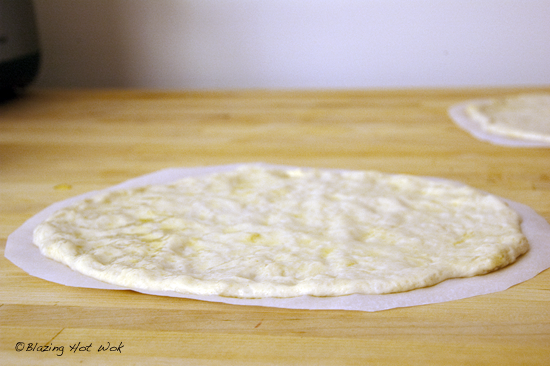 At this point, transfer the dough to an oiled plate or a silicone mat and quickly tuck under the ends to form it into a dome (or cut the dough in half and quickly form each half in to a dome shape.) 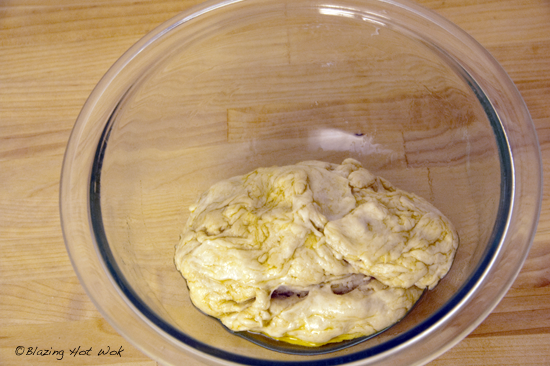 Let the dough sit, covered with a lightly oiled piece of plastic wrap for 15 minutes. Beranbaum says this relaxes the dough, but I've cut this step short when I'm not in the mood to wait. Since the dough is not kneaded and the rise time is relatively short, the gluten isn't well developed, so working with the dough is easy. Don't worry if there still seems to be clumps of unincorporated dough. They won't affect the taste or texture. Shape the balls of dough with oiled fingers. 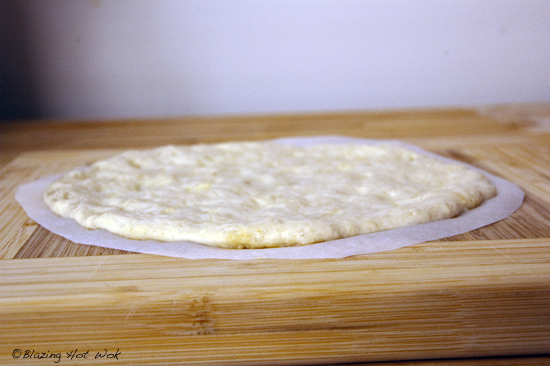 I do it right on a piece of parchment, which will go on top of a pizza stone when it's time to bake. Let the shaped dough rest, covered with a piece of oiled plastic wrap for about 30 minutes, during which time it will get a little puffy. Can you tell it's puffier? I know it's hard to see. At this point, the crust is ready to be topped. My general rule is to use no more than 3 toppings, including the cheese. No matter how good the crust is, it will get soggy if it's loaded with too much stuff. 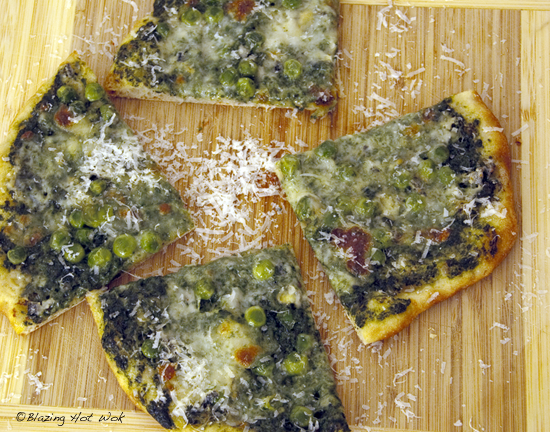 For this pizza, I used a base of garlicky creamed spinach, mozzarella and Gorgonzola cheeses, and some leftover steamed peas. For the other pizza, I used red sauce, mozzarella, turkey Italian sausage (pre-cooked and finely crumbled), and olives. For the best result, bake the pizza on a pizza stone that's been preheated for at least 30 minutes (longer is better) at 450F. It usually takes about 9 to 10 minutes to bake. Remove the parchment after 4 or 5 minutes to ensure the bottom gets nice and brown. See how the inside has a lot of air bubbles but the very bottom of the crust is crispy? That's the perfect combination. It's that pumpkin time of year again! Not that we can't get canned pumpkin any time of year. It just feels weird to eat pumpkin during the heat of summer. It's a psychological thing. Of course, if you're trying to eat with the seasons or enjoy making your own pumpkin puree this is really the only time of year to do it. Pumpkin is pretty much hit or miss in our household. I usually like it, pumpkin pie being the exception. Sonny will gladly eat pumpkin ice cream or pie, but otherwise turns up his nose to it. Hubby doesn't really care for it at all. So I was pretty happy that everyone liked the pumpkin bagels. 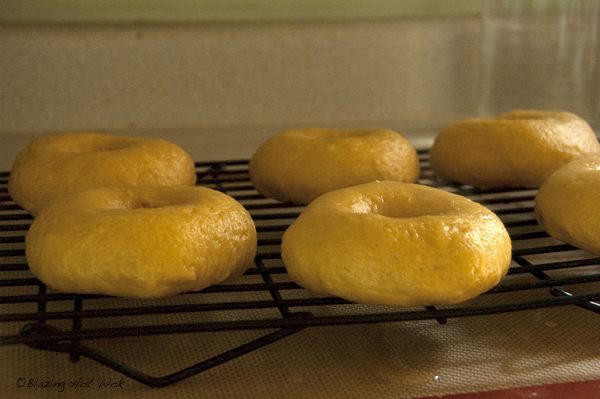 Good thing too, because I've made about 3 dozen (yes, 36!) over the last 2 weeks. This recipe is quite easy to adapt. Feel free to use canned or your own homemade pumpkin puree. I imagine pureed butternut squash or the like would work just as well. I prefer a less sweet bagel, but feel free to add more sugar or honey to taste. Raisins and cinnamon are good additions. Sesame, poppy and/or flax seeds on top are nice. Substituting a portion of the bread flour with whole wheat flour also works wonderfully and gives a more complex taste and texture, although the pumpkin flavor will not be as pronounced. If you make more bagels than you can eat in a day or two, they freeze beautifully. 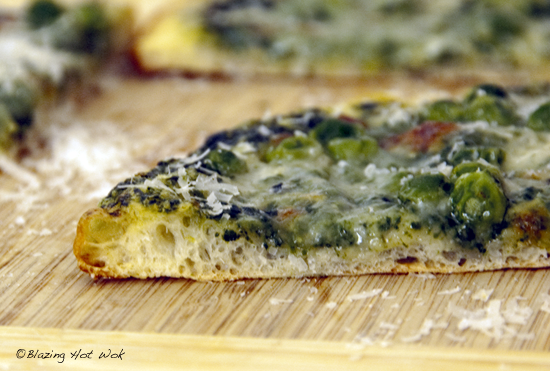 If the crusts gets soft, they can be toasted whole in a toaster oven for about 5 minutes or so. These instructions assume you have a KitchenAid or similar at your disposal. You can certainly do it by hand, but it will take more time and elbow grease. 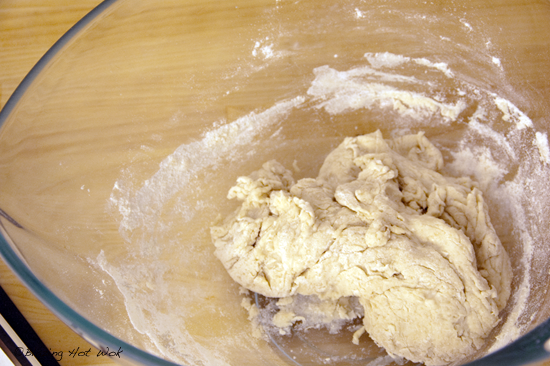 Start in a large bowl and once the dough comes together, transfer to the countertop to knead by hand. Gotta get that gluten going! 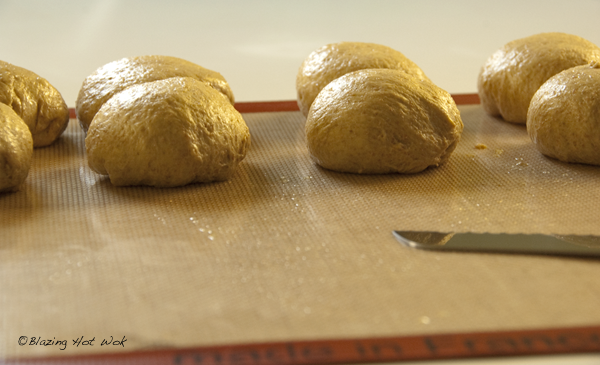 Divide the dough into equal ball-shaped portions. (I use a scale to weigh out 100 g portions, of which I can get about 12). Let the portions sit, loosely covered with oiled plastic wrap, for about another 15 minutes. In the meantime, combine about 1 tbs malt syrup or molasses and 1 tbs kosher salt with about 6 quarts water and get that boiling. I also like to preheat my oven at this time. Preheat to 425F. Boil the bagels for 45 seconds to 1 minute on each side. Don't crowd them; 2 to 3 at a time works well. Remove them with a slotted utensil to a rack. 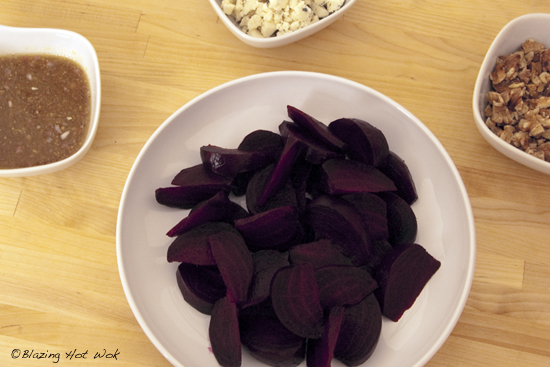 Brush them with egg wash and dress with any seeds before transferring them to a sheet pan and sticking them in the oven. I usually bake them for about 20 minutes on a baking stone. If you don't have a baking stone, a sheet pan is just fine, although you may want to give them an extra minute or so. Once they're done, let them cool on a rack. If you're new to bagel making, here is the recipe that got me started. It's super easy to follow and the results are great.